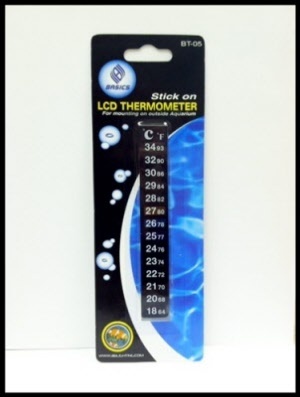 These LCS Stick on thermometers will give you a visual indication of changes in temperature. 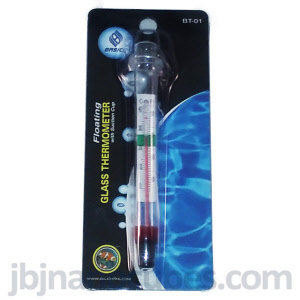 They are low cost effective indicators of temp changes in saltwater and freshwater aquariums. Easy to use and does not require batteries. Stick the gage on the outer section on your fish tank and you will know instantly what the temp is. The colors of the bars change letting you know if your aquarium is to hot or cold.